Trouble Hosting? Try Spit Roasting! 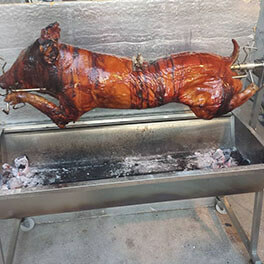 Have you ever tried roasting a pig on a spit? It's really easy. 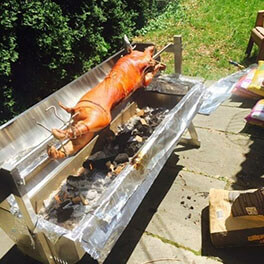 Have you ever eaten a pig roasted on a spit? It's really tasty. Spit roasting a pig brings out the natural flavours of the pork and allows for a slow roasting that will infuse the flavours of the spices, sauces and marinades with the pork. It is recommended that before you put the pig on a spit over flame or heat, you stuff the pig with both sweet juicy fruits and savoury spices. A fantastic combination is to stuff the pig with chopped pineapple and teriyaki sauce and to continually baste the pig while it is roasting with teriyaki sauce mixed 50/50 with coconut water. This stuffing is ideal for creating a sort of pan-Asian-Hawaiian-fusion style roasted pig on a spit. 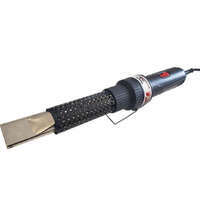 Also, now that spit roasting is becoming more popular, many manufacturers sell products that make spit roasting something that anyone can do at home. 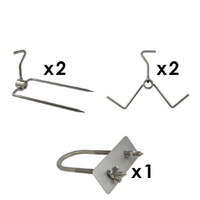 Also, there are pre-made kits that will allow you to spit-roast over a camp fire, fire pit or bonfire. While you could build a manual spit roaster using rather basic supplies from a hardware store, the pre-assembled kits tend to have pieces that will work together more smoothly and are not that cost prohibitive. Also, several kits will include motors that will automatically turn the spit, which is not only convenient but also provides for a uniform turning speed. 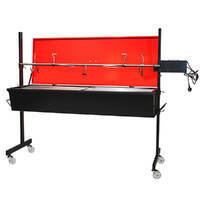 There are many options when deciding which spit roaster to buy. Do you want the ease of gas or the authentic flavour of charcoal? 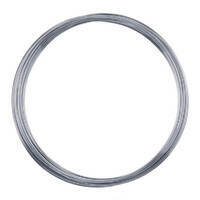 Are you going to cook small suckling pigs (around 15kgs), medium-sized ones (around 25kgs) or big whoppers from a farm (40kgs plus)? Will you keep the head on for theatrics, or remove it? 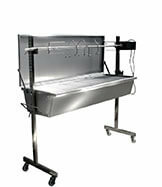 To help you determine what size you’d need, we’d recommend the Flaming Coals Minion Spit Roaster for pigs around the 15kg mark. 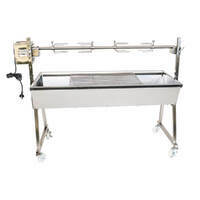 Although this spit roaster will turn up to 30kgs of meat, it is the length of the spit at 110cm that will limit the size of the pig you can cook. Alternatively, if you’re going to cook just the barrel (ie, no head or legs), you can fit a 30kg barrel. 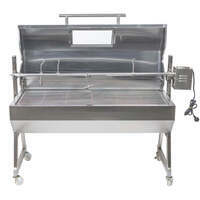 If you’re wanting to cook a medium size pig, we’d recommend the Flaming Coals Spartan Spit Roaster either with the windshield or with the hood. 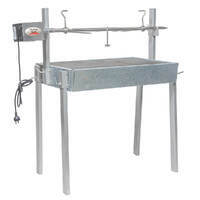 This comes with a 30kg capacity motor and at 120cm long, is large enough to cook a medium-sized pig with the head intact. There is the option to upgrade the motor to a 60kg motor, however, if you were going to cook a pig on a spit that was over 30kgs, we’d anticipate you’d need to cut the head off. 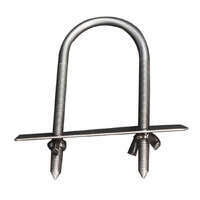 The largest spit roaster we would recommend for cooking big pigs on a spit is the Flaming Coals Warrior Spit Roaster. 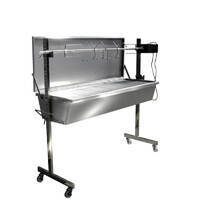 Not only does this spit roaster give you 150cm of cooking space, it comes standard with a 60kg capacity motor meaning you can cook the biggest of pigs and keep the head on. Whether you decide to make up your own spit or buy a ready made one, roasting a pig on a spit at your next gathering is sure to be one to remember.